Compared to surrounding cities, Covington has lower rates than average, as illustrated by the table and graph below. 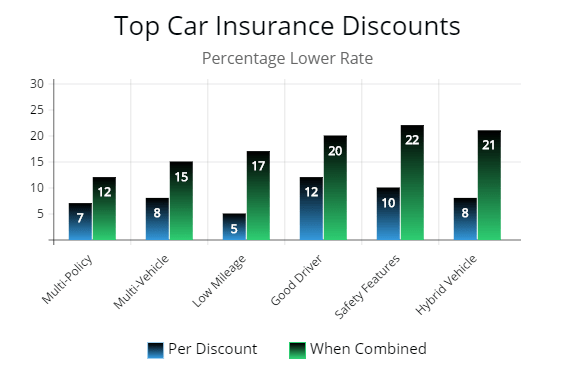 As illustrated by the chart, when a driver is able to combine two discounts your insurance premium is lowered by 20 percent or more. Many drivers forget to ask for this. Note: If you are able to get a low mileage discount and combine it with good driver, in this instance, you may be able to get near 20 percent off your yearly or monthly rates. Each driver had a 2013 Volkswagen Passat with no more than two driving violations, single, and good credit.